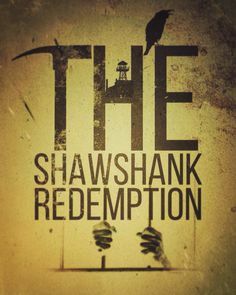 The Shawshank Redemption by Stephen King is book about how a man gets wrongly convicted of murdering his wife and her side piece. This shows that even in court of law where there supposed to be justice and equality, instead corruption and bias ended ruining a man life. The book and later the 1994 movie continue to shed light on the issues of procedural justice in American crime and punishment. The system failed him by not giving him a fair trail. He was charged with murder of his wife based on the fact that he was the husband and she was having an affair and he found out. Of course this would cause anger but it does not guarantee that he did it. There was a broken bottle on the ground outside the house where she was murdered and it had the husband’s fingerprints on it. The emotional bias of the jury ended up ruining his life by locking him up for over 20 years. This just shows how bias can effect the court of law and shows the system is always flawed because it is human. This means that we can never assume a decision is final and we should always be critical as we search for justice. Procedural justice begins with police enforcement and investigation and it ends with court trial procedures and the presumption of innocence until proof beyond a reasonable doubt. A recent example of the continued need for procedural justice in America can be found in the complicated leadership of now resigning Missouri Gov Eric Greitens (R) . Earlier thisyear he stayed the scheduled execution of Marcellus Williams, just hours before the death-row inmate was set to be put to death for the 1998 killing of a former newspaper reporter.